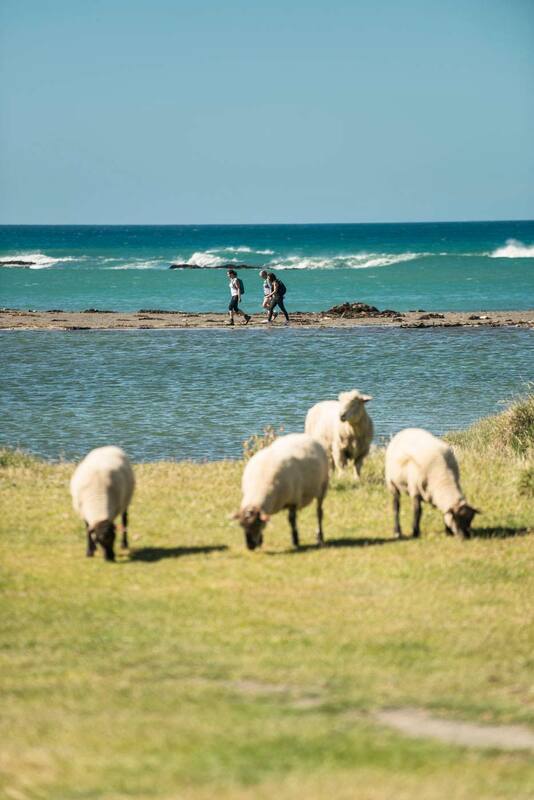 Registrations for the Tora Challenge, a walking and running event set on private land along the Wairarapa’s dramatic coastline, open next week. The Tora Coastal Challenge, to be held on Sunday, 1st May 2016, features three course options including a 6km walk/run, 18km walk/run and 32km run. 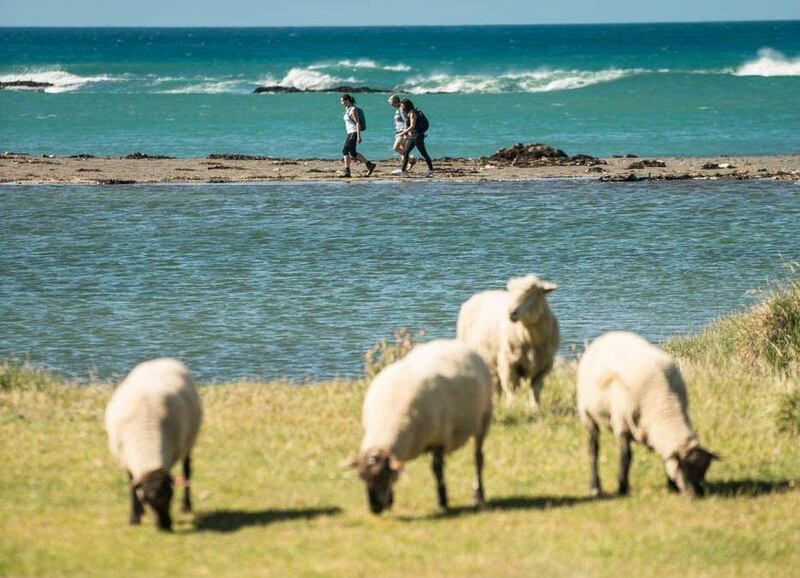 It will see participants cover a stunning route used by hundreds of people each year doing the Tora Coastal Walk, New Zealand’s longest running private multi-day walk. Kiri Elworthy, one of the owners of the Tora Coastal Walk which will celebrate its 22nd Anniversary this October, is looking forward to holding the event again after it made its debut in 2014. “The feedback from the first event was so positive we’ve decided to bring the Tora Challenge back in 2016, which coincides with the end of our 21st season of the Tora Coastal Walk,” says Kiri. The Tora Challenge will begin from Stony Bay Lodge on the Tora Coast, a 45 minute drive from the wine village of Martinborough. The architecturally designed, beach front lodge has uninterrupted views North and South along the wild and unpopulated coastline. Participants will then complete either the 6km family friendly Coastal Cruiser run or walk along the coastline; the new 18km Reef to Ridge run or walk that takes people along the coastline for 6km, before ascending into native bush and over private farmland before looping back to Stony Bay Lodge or the Big Kahuna, a 32km run that covers the entire Tora Coastal Walk. This challenging course features 6km of the Tora Coast, a 12km run to Whakapata Cottage then 14kms of hill climbs and descents, with breath-taking views of the Pacific Ocean as their reward. The 2014 event sold out within three days, so Kiri encourages people to register early to avoid disappointment. It is limited to 750 individuals. Registrations open Wednesday, 17th February 2016, however a 48 hour pre-sale kicks off at 10am on Monday 15 February. Visit www.toracoastalwalk.co.nz for more details. 6km run/walk; 18km run/walk or a 32km run. When: Sunday, 1st May 2016. • Coastal Cruiser – 6km family-friendly run or walk along the remote and unique Tora Coast. • Reef to Ridge – this 18km run or walk follows the Tora Coastline for 6km, before ascending into lush native flora and private farmland, then along a panoramic ridge, providing constant sea views, before descending back to the start point. • Big Kahuna – this 32km run covers the entire Tora Coastal Walk course; 6km of the Tora Coast, 12km to Whakapata Cottage, then the gruntiest section of the day, 14kms of hill climbs and descents, with breathtaking views of the Pacific Ocean as your reward.